In an effort to minimize cost and eliminate unnecessary steps, we've created an online portal with our vendor, Imagewise, to expedite the ordering process. This portal is for all college or departmental stationery. Navigate to www.imagewisegraphics.com in your web browser. Click on “Customer Login,” located at the top right of the screen. Enter username gordon and password gordon255. NOTE: This is not your Gordon login. Please enter exactly as shown above.  Click on “Gordon College Document Library” in the menu on the left side of the screen. Select an item you would like to order from the available selection, choose the quantity needed and scroll down to the bottom of the page and click on the “Continue” button. Enter all necessary information for your customized stationery item and click the “Continue” button. You will see an instant, online proof. Check this over very carefully to make sure everything is correct. If you are not satisfied and need to make edits, click the “Modify” button and repeat Step 6. If you are satisfied, click the “Order” button. NOTE: If you need to see an enlarged version of the proof, click anywhere on the proof to download the proof in PDF format. Enter your billing information and click the “Send Request” button. NOTE: If you’re not in a hurry, you can achieve significant savings by printing with other jobs. If you would like the printer to hold the job until more orders come in, please specify this in the “Additional Details” area. You will receive an email from sales@imagewisegraphics.com confirming your order.